Hello to all readers of my blog, today we will see the basic foods for building muscle mass. As we know and we've said many times muscle mass can be build with protein so if we want to build muscle mass, the basis of our diet should be protein. So each of our meals besides carbohydrates, which they should have, they should also be accompanied necessarily with a protein source. The diet is undoubtedly necessary to obtain a Ripped muscular body. Always we need to know that to achieve a perfect fitness body or bodybuilding everything should be combined together like a circle. Necessarily, we have to do proper diet, proper workout and rest sufficiently to restore our muscles. This cycle should always be done if we want to achieve the maximum results. However, everyone's DNA is going to play a big role. Rightly or wrongly, the DNA affects quite heavily in how our bodies are going to be, but it is not a determining factor. Below you will read about some foods with high quality protein, which can help us greatly to increase muscle mass. We can choose one of these to add to each lunch. 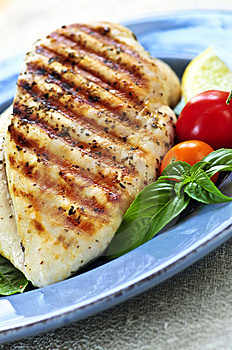 The chicken breast is one of the richest sources of protein and has almost no fat. Fearlessly eat egg whites if you want muscle volume and quality simultaneously. We can also eat the yolks that give us a lot of vitamins and a lot of protein, but in moderation because they are fat and have cholesterol. The salmon except the protein that it offers to us, it has also too many properties and nutritional value, helps a lot in our health. For best results we prefer beef tenderloin which has less fat and is better for our health. One of the best foods for muscle building us a cup of cottage gives us 3 grams of leucine and 30 grams of protein. Apart from the protein that gives to us, it is also a good source of leucine, so it helps a lot to increase our muscle mass. You need to drink plenty of water! Apart from all the other good it does for our health, 70-80% of our muscles consist of water, so when we drink plenty of water our muscles look bigger and bulkier. We can drink coffee before exercise, which helps to make a more intense workout and thus gain more muscle mass and a ripped body.